As an experienced Buffalo Personal Injury Attorney I sometimes have clients call and ask “what is the first thing I should do if attacked by a dog?”. If they sustain injuries because of the attack, the first thing to do is to seek medical attention. The hospital is going to ask you at that first visit if the dog that bit you had up-to-date shots, specifically rabies and distemper. If you are injured, but are able to gather information at the scene, please also get whatever information you can about the dog and its owner. The Department of Health will also do research to see if the dog is current with it’s shots. I advise my clients as an experienced Buffalo Personal Injury Attorney that this will prevent you from going through very painful treatments and shots if that dog is not current or if they cannot determine if the dog is current because it’s a runaway or a stray. 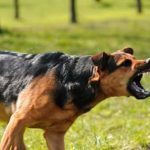 Have you been attacked by a dog and want to know what you should do? Contact our experienced Buffalo Personal Injury Attorneys to fight for a free initial consultation. Let our experience work for you. This blog was provided by Richard Nicotra, an experienced Buffalo Personal Injury Attorney.